Are you tired of stressing over deadlines, late payments, terrible clients and all in all just running your own freelance business? I know I was. Meditation has been the stress-management answer for hundreds of millions, and it might be just what you need. I’ve been meditating on and off for a few years now (around 2-3 times per week) but it just never stuck and I couldn’t find a good rhythm. I meditated whenever I remembered or felt like it. If that sounds familiar or if you’re just looking to lead a more fulfilling life while learning how to manage the daily stressors of being a freelancer, I believe I have exactly what you’re looking for: the Live and Dare- Master your Mind Online Beginner Meditation course. Click the title of the course above to head straight to the Live and Dare Beginner Meditation Course. I’ve recently completed this course for online meditation and it’s the first time ever that I’ve meditated every day for more than 2 weeks straight. Let me show you what’s inside and how this online meditation course, if you follow the instructions, will help you create a habit that could change your life forever. Who’s the Author of Live and Dare? Let’s start with a bit of background on Live and Dare. 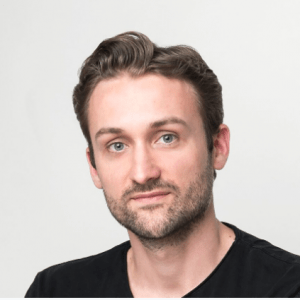 If you’ve never been to the Live and Dare website (which I highly recommend you do if you’re interested in meditation online: Click here), it was created by a man named Giovanni Dienstmann. He’s the course creator and writer of the Live and Dare blog. On his about page, he states he’s been meditating for the past 17 years with over 8,000 hours of meditation. He doesn’t claim to be a guru or spiritual master but a practitioner who is still figuring out how things work and his idea is to share his experience and bring meditation practice to as many people as possible regardless of religion, profession, beliefs, etc. His daily routine, which is on the Live and Dare About page, consists of the same few things every morning (I’ve mentioned in a few posts, like this one, that routines are the best way to start your day). *Note: no one is saying you need to meditate for 2 hours a day to see results. For most of us, that is unrealistic. However, I’ve included his routine to show you that meditating is this man’s life and he definitely knows what he’s talking about. If that routine doesn’t convince you to jump on the bandwagon with him (which it did for me), he’s also a registered Meditation Teacher at the Meditation Association of Australia, in the categories of “Personal Development Meditation” and “Spiritual Meditations”. So now we know who Giovanni is, let’s take a look at what he’s trying to accomplish with his Live and Dare Online Mediation Course. The organization of his website is beautiful, and he states right away what he’s trying to accomplish. I took this screenshot directly from his site (I hope he doesn’t mind). 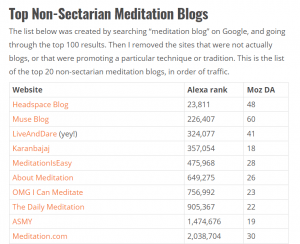 As you can see, his ideas with online meditation are to bring non-sectarian meditation to as many people as possible. This means that his teachings are neither connected to nor involved in any religious sects or political groups. He doesn’t teach religion. 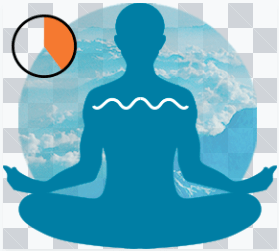 He wants to show you how to “Master your Mind” through his online meditation course and breathing techniques. I really appreciate this approach because, for many of us, meditation is something the Dalai Lama and monks sitting on ledges in the Himalayans do. It’s not for normal people sitting in their home office working on a laptop. However, that’s not how he sees it (and neither should you). Meditation is for everyone who needs a bit of calm and relaxation in their life. It’s a lifesaver for those who can’t stop thinking, and their brain is running so fast they can’t sleep at night (sound familiar?). Don’t be scared away by the word spirituality if you’re not religious. He goes on to say he’s not trying to convert or change your thoughts. Giovanni’s goal with spirituality is to make the ancient teachings and wisdom from different religions and sects more accessible to people of all backgrounds and levels of interest. Even if you’re not religious (which I’m not) there are things that can be learned from them to improve your life. 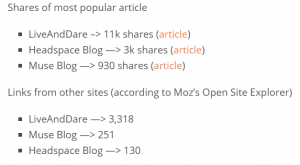 Giovanni’s Live and Dare blog is the 3rd most popular meditation blog on the internet according to Alexa and the first if you look at shares and backlinks (which are really important in the online world if you’re not into the tech talk). Check out the photos below from his website of some of his numbers. He’s more popular than meditation.com, that’s impressive. He has 40,000 subscribers who all receive weekly e-mail updates from him because they believe in what he has to say and want the latest and greatest from him. I count myself among those readers and look forward to new blog posts and his regular Live and Dare updates. Don’t just take my word for it or the impressive number of followers and stats. I’ve snapped a few screenshots of testimonials straight from his site. That first testimonial by David really sums up how I feel as well. Giovanni is online every day, answering questions with incredible patience and kindness. If you’d like to check out even more testimonials from people who have gone through the course or subscribers to his blog check out the Live and Dare Testimonial Page. There’s no doubt you could figure all of this out on your own by Googling “how do I meditate”, or “meditation online” and you’d get millions of hits. But then again, you’d spend hundreds, if not thousands of hours looking through blogs, sorting through different methods, finding people who have no idea what they’re talking about and all in all just wasting time that you’ll never get back. Not to mention stressing over how much information is out there, which is exactly what you’re trying to avoid in the first place! For the price of a dinner out for 2, you can get Giovanni’s 18 years of experience with all of his achievements and failures. What has worked and what hasn’t worked and why. He breaks the Live and Dare Online Beginners meditation course into 5 different meditation styles, 1 per week, so you can get a feel for different meditation techniques. Live and Dare Online Beginners Meditation Course Here. There are 5 weeks in the Live and Dare Beginners course, and each one encompasses a different meditation strategy. With each new week, comes a different type of meditation with different benefits (and challenges). Giovanni runs you through all of the benefits of each in the online course. It’s much easier to digest in the small chunks he serves to you than if I were to overload you with it here. Week 1 of the Live and Dare Meditation Online Beginner course couldn’t be easier, but that’s exactly why it works. When you go to your member’s page at Live and Dare, you’ll be sent to the home page below. Scroll down, and you’ll reach the courses that you’ve purchased. As you can see I have both the beginner and intermediate courses and I’m about 1/3 of the way through the Beginners course. The progress bar is really great as well as it gives you a sense of accomplishment each day you see that number and bar go up. Click on the Live and Dare Online Beginner’s Course, and you’ll be brought to the page below. It has a very minimalistic feel to it, but that’s so you don’t get distracted with pop-ups and ads (he actually says on his page that he doesn’t use any ads so you can focus on what’s important, and that’s creating a meditation habit). Scroll down a bit more you’ll see the Class Curriculum. In Week 1, you’ll have a few introductory courses to get you started on the right foot. These 2 short classes are just intros to the course and what you can expect from him and the lessons. They’re quite short, but it’s an excellent way to get your foot in the door. If you’d like, you can start Day 1 today or do the Intro and Keep engaged today, and start Day 1 tomorrow. It’s all up to you. Whatever you decide, after completing the Intro course, you then get into the classes. As you can see in the photo above for Day 1, it’s called Setup Your Habit. For me, this is probably the most important day of the whole 5-week course. Without creating the foundation to build a habit, there is no way you’ll continue meditating after the course is finished or really stick to the course at all. Following his simple formula for creating a habit is your best shot (possibly only shot) at making meditation, and all the benefits that come with it, a part of your life. That first line of text under Topics is the Golden Rule to making meditation work for you. 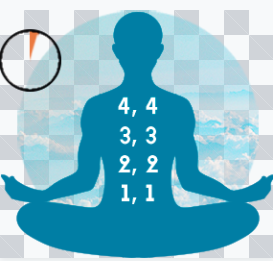 In lesson one (photo below) he explains exactly what each of those things means (setup trigger, anchor habit and place and time for meditation) and how you should use them to create a personalised meditation habit for yourself. Following Giovanni’s advice, I’ve set up my routine like this (it’s not quite as intense as his but it works for me). If it’s worked for me, it can definitely work for you. Each course comes in a PDF or audio format. So, whether you prefer reading or listening to the lessons, you can do either. I’ve done a combo of the two so far, and it’s been nice to break it up a little. Week 1 practice is very simple, and it’s more about getting started and finding your trigger and place and time to meditate more than anything. Finding your personal rhythm and meditating at the same place, at the same time and with the same group of activities you already do every day will make it seem natural. The meditations for week 1 should last no more than 3 minutes each. Finding 3 minutes in your daily routine, as a freelancer, should be pretty simple. If all else fails, set your alarm 3 minutes earlier or only hit the snooze 4 times instead of 5. Also, as you can see in the photo above, there’s a forum set up for each lesson. That’s where people who have completed the lesson can go and comment about how they feel, what went well, what didn’t, and what they’ll change in the future. It’s an excellent way to connect with the rest of the community and remind yourself that you’re not alone or the first to deal with setbacks. When you finish your practice on Day 1, click the “Complete and Continue” button and everything will be ready for Day 2 tomorrow. I’ve bookmarked the page on my browser on my phone. That means it takes literally 4 clicks to get to my lessons. Make sure you meditate at the same time and the same place, with the same routine every day and you’ll be looking forward to classes in no time. I’ve broken down the who, what, when, where and why of meditating for you. This course could, and already has for thousands, change your life. 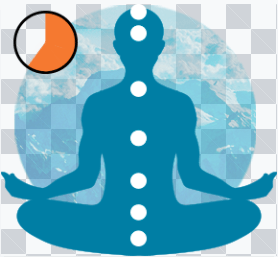 I’ve recently completed this online meditation course and couldn’t be happier with it. I’ve never been able to string together a week of meditation let alone 5 in a row. Giovanni and Live and Dare make it easy to meet your goals. I know for many when they don’t see immediate results they lose interest (it’s the same with the gym, diet, etc.). Obviously after 6 weeks or so I’m no guru but I can feel that it’s starting to become a habit. I’ve created a morning routine that I subconsciously perform every morning at the same time and I think that’s really helped me stick with this online meditation course. This meditation course gives you the tools you’ll need to make meditating a habit but it can’t “make you drink”. Lastly, if you’re not completely satisfied, Giovanni has a 100% money back guarantee. You’ve got nothing to lose, except all that stress you’ve been carrying around. 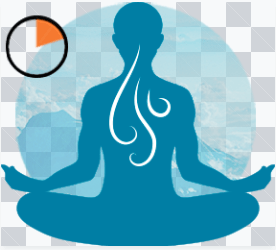 If you’ve tried meditating but can’t seem to stick with it, why do you think that is? Are you considering trying out the Live and Dare Online Mediation Course? Affiliate Disclosure: This post contains affiliate links. If you purchase something through one of the links, you won’t pay anymore, but we will get a small commission, to help keep us up and running. I don’t promote anything I haven’t/am currently using and wouldn’t recommend to my own family. Thanks! I believe meditation is powerful. And it’s crazy that Giovanni meditates for 2 straight hours. Outside of this course how would you recommend a beginner starts this practice? Two hours just seems like a longgg time to be still. Especially as a business owner with kids. Is there a version of this program for busy professionals? Hey Julian! 2 hours is crazy and no one expects you to do that! If you continue reading I break down the first week of his Live and Dare Beginners mediation Course. Meditation practices start at 2 minutes, not 2 hours! Going through the course will give you the tools you need to create a meditation habit, like where, when, and a trigger habit. Thank you for stopping by! 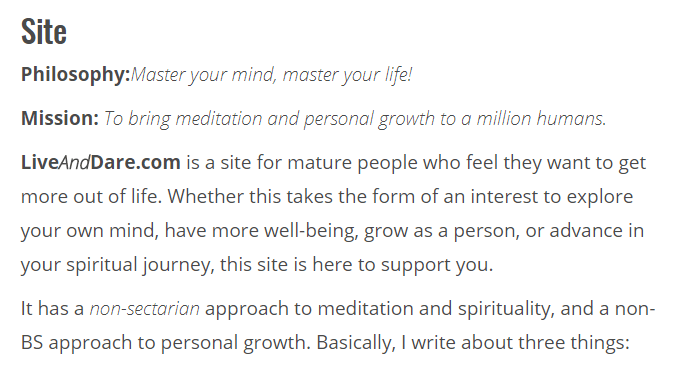 I haven’t heard of garden meditation yet, but I don’t see why not! If you’re able to unwind and focus on one simple task, I think it’s great! Thank you for stopping by. All the best! You’re exactly right that meditation is becoming more and more popular these days as people are looking for a way to unplug and take a breath. I hope it will enrich many lives, as it has with yours and mine. Thank you for stopping by and let me know if you have any questions! All the best! I guess a course like this would be a lot easier for busy professionals or, someone who doesn’t have the time to go to meditation classes every week. This course looks really great and easy to follow and adjust to any lifestyle. 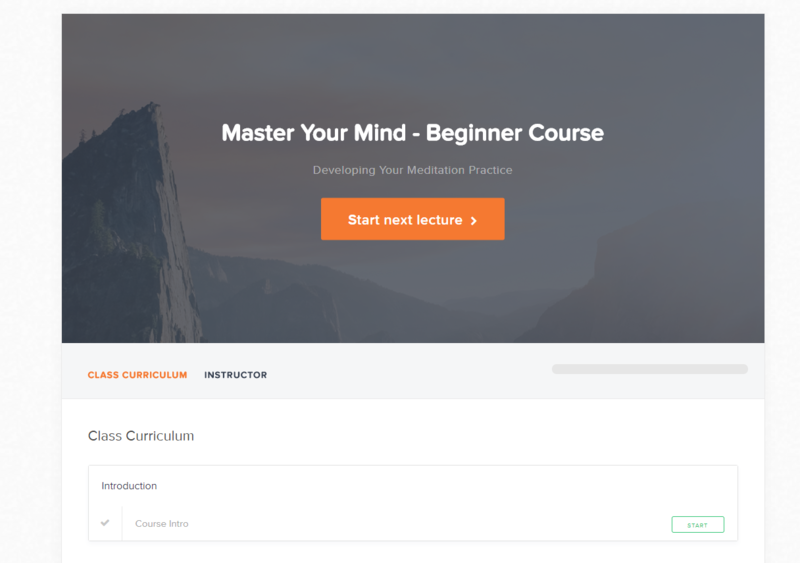 I really like the step-by-step layout of the course which would be really great for me because I have never meditated and really don’t know much about the things that you screenshotted from his course. I am going to check this out because I feel that a little meditation might do me some good. He really does a great job of breaking meditation down into bite sized pieces. I had been meditating for a while beofre trying the live and dare online meditation course but it was a great way to take a step back and create a solid meditation foundation. Every day you build a little more confidence until after a few weeks it becomes second nature. Thank you for stopping by and let me know if you have questions. Meditation is so powerful and I really wished I can try one day. Been so busy at workplace that I am just like a strategy machine doing all the action plan for the organization I work for day and night. But how can I do it if everyday there’s tons of work to complete? Is there a course whereby I can take 2 weeks leave and just go for meditation with coaching? Meditation is a great tool for everyone I believe! It only takes 5-10 minutes to complete. I’m sure we can all find that small amount of time. There’s really no reason to look for a huge course like that! It can be done easily sitting on your own couch in a few minutes a day. Let me know if you have anymore questions! Take care! Your opening paragraph describes my ‘meditation practice’ exactly. My girlfriend regularly meditates and is a a powerful manifester, but I’m still working on developing and refining my practice. As a freelancer, I can certainly relate to the stress and anxiety that comes with deadlines, work fluctuations, and (the big one!) waiting for clients to actually pay up. I’m currently using an app called ‘Insight Timer’ to remind and motivate me to meditate more regularly, but I’m going to keep this course in my back pocket for potential future use. Thanks! Hey! ya, I figure I wasn’t alone in that type of meditation practice. Inisght timer is a great app! I’ve been using it as well since I finished this course. 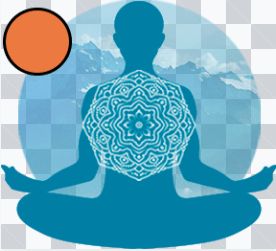 The variety of meditations and practice is great! Keep it up and let me know if you need anything! Great review. You’ve broken it down into easy to understand sections. I’m sure I could benefit from this as having the ability of not being able to switch off come sleep time is my issue. I’m not sure about the 2 hours per day of meditation at the crack of dawn is something I could implement though, especially with kids in the house! But as you’ve mentioned, it’s breaking the habit. Thank you for stopping by! This could definitely help you fall asleep at night and control you thoughts a bit more. 2 hours at the beginning of the day is completely unnecessary! I do 10-15 minutes when I wake up around 6:15 but it can do done at any time of the day. Like most things though, it’s usually easier in the morning before you get too distracted. The online meditation course is 5 weeks in total and one class should be completed each day to help create a strong habit. so 1/3 was a little less than 2 weeks. Thank you for you comment and let me know if you have other questions! Like a previous commenter said meditation is becoming more commonplace these days, and a lot of this has to do with what is going on in the world. I’ve never tried meditation myself, but it sounds like it might be something that would help me as it would help release some stress. As a new beginner it seems like Live and Dare would be something that would help me pick it up a little quicker as well… I’ll have to keep it in mind. Thanks for the insightful review! You’re definitely right that meditation is becoming more commonplace. Our lives require us to to take a step back and consciously relax. We were never made to be tuned in 24/7. I’ve found meditating to be a great way to start the day rather than watch the news, open social media, etc. It helps me to center myself and start the day on a positive note. Thank you for stopping by and let me know if you ever have questions! Such a long scroll down – I have been trying ti activate my Chakra and found your working to be really helpful, but whats up with long posts without a CTA? I appreciate your comment. There’s actually a CTA at the end of the first paragraph where I give the name of the course. I should probably be more specific that it’s a hyperlink. Thanks for letting me know. Take care!